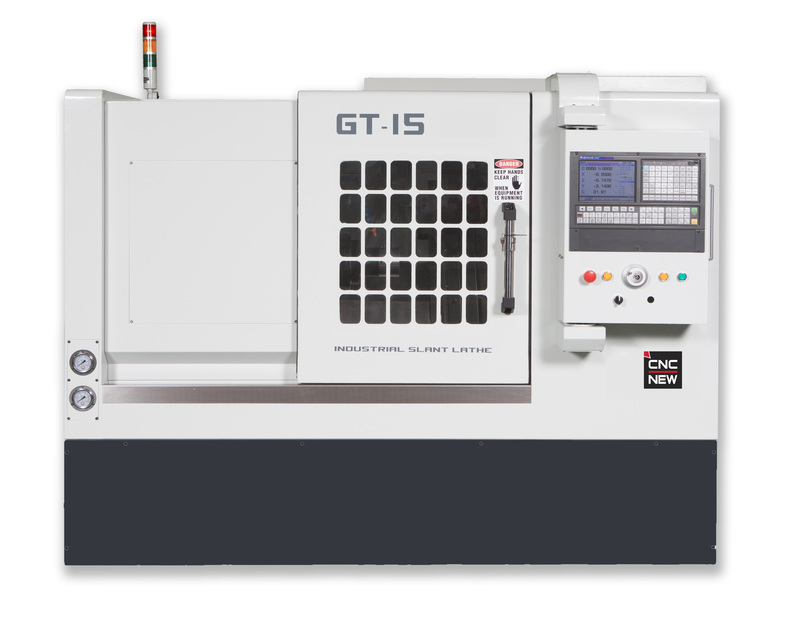 The GT-15 provides the largest interior envelop and with the added room we are able to provide added engineering options to this 15hp C-Axis Servo Driven Spindle. The available options include static driven live tool arrangements, Y-Axis drive tool modules, gang tool turret option along with other part loading and unloading options. The X-travel of the GT-15 is 18" and the and the use able T-Slot table is 24". There many combinations of ways we can offer this model lathe with radial, axial and vertically mounted live tools, Y-Axis and turret modules. Use the Dropbox Link on the machine page to see additional photos and documents concerning accessories, options and construction of this machine. Use the Dropbox link to see additional accessories, photos and documents for these machines. Call to discuss your specific requirements.